I was in Carnaby Street when I saw a Pixi store, it was never a brand I had really bought anything from or really considered buying anything from. I decided to pop in and I immediately spotted the Glow Tonic, I had remembered hearing a couple of things about it and that it was quite hard to get hold of so I decided to pick it up. 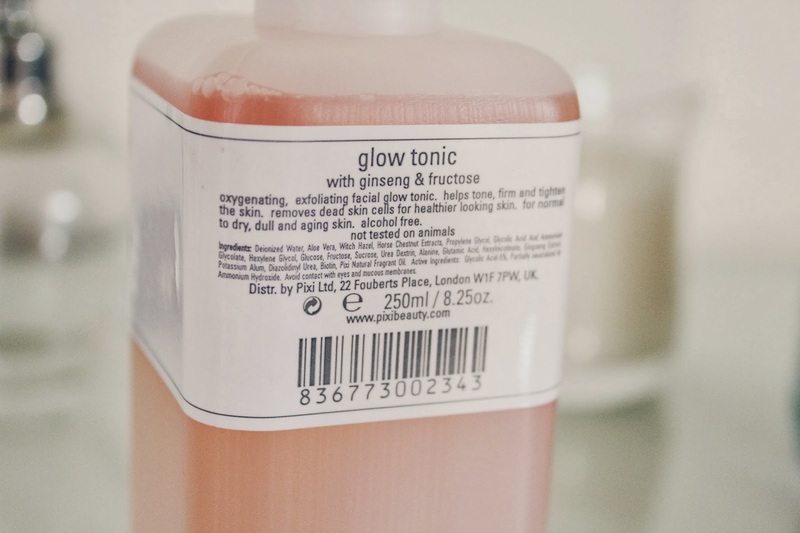 It retails for £16 which I don't think is too bad, it is a toner and I tend to use it after my cleanser in the evening. I have used toners before but I found that they were drying on my skin and made it feel really tight. As I hadn't heard too much about it, I didn't really have any expectations or high hopes about it, using a cotton pad I go over the whole of my face, focussing slightly more on the areas of my face with more acne scarring. I have a lot of acne scarring, having had skin issues for about five years I have a lot of scars and blemishes on my skin and nothing has got rid of them! After about four days I noticed that the redness and scarring on my cheek had gone down considerably, this was quite shocking as it had been red and inflamed for months now so to see it suddenly reduced was not what I was expecting. As I continued to use it, almost all of the acne scarring had gone, I'm now left with much clearer skin as I don't have a huge patch of redness on my cheek, I also don't have to use as much concealer, yay! The bottle is quite simple and nothing special but the pump works well and I haven't had any issues with it. After I bought it, I googled it to read some reviews, quite a few people said they weren't a massive fan of the smell, it isn't the most appealing smell, it reminds me of old ladies but I don't find it unbearable or anything like that! I think the one down side to this product is that it's not the easiest to get hold of, I went to the flagship store in Fouberts Place (near Carnaby Street and only a short walk from Oxford Street) but if you don't live near London it can be a pain! 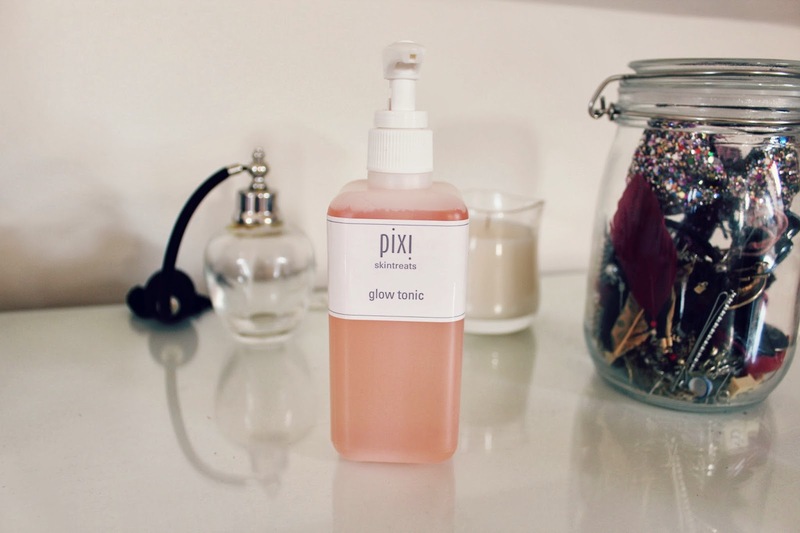 You can now buy it online on the Pixi Website here, it was out of stock for a while but it came back into stock the other day so pick it up before it sells out again! I also think they've changed the packaging to a taller cylinder shaped bottle! This didn't make my skin feel tight or dry at all, it makes my skin look so much clearer which I never expected as I've dealt with problem skin for years and been on medication to sort it out so I never thought a product would help it! I think I want to purchase this soon! This, Clarins and Aesop purchases! I really want to try this! Hopefully next time I pop down to London it's available. Great review! I wish I could get my hands on this because it sounds fantastic!